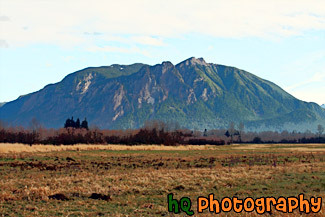 A scenic picture of the popular Mount Si located in North Bend, Washington. Mount Si is a popular hike that many locals take. This photo was taken on a sunny winter afternoon.